As of late, it has been noticed that the law commission of India is giving the preference of Bitcoin for carrying out the various transactions related to gambling. The rumors related to the same were circulating in the market for a long time, but it can now be confirmed because of the recent meeting that took place, that is, the meeting headed by the law and order minister, Ravi Shankar Prasad. The acceptance of Bitcoin in the gambling transactions took place in this new 276threport which was presented recently by the government. The discussion regarding this has been going on for a while in the important economic sections of the society, lately, the same issue was taken up by the committee that deals with sports regulation. Increased attempts were made in the past to ensure that the underground betting economy does not flourish further, however, attempts at ensuring a steady decline in the market are failing, and therefore it is being suggested that instead of a complete ban, there should be regulation in the market and cryptocurrency should be one of the means through which this market and its transactions can be dealt with. The recent report from the ministry of law has stated that the operations in gambling should be made in such a manner that the use of cash as far as gambling is concerned is rendered completely redundant, what should be used is another means such as agencies like debit cards and in the long run, even virtual currency. The intention behind these attempts of the ministry is to completely abolish the prevalence of cash in the market. The report by the commission has also stated that control should be established over the Foreign Direct Investment development that is taking place over as well as a priority for the economic sector, as far as law is concerned, is the issue of money laundering. Acceptance of cryptocurrency, along with the regulation of the gambling markets, is what is required. Gambling markets decreased because of the straight ban, however, with the use of cryptocurrencies, a solution to such problems can be found on the horizon. The commission has also come up with means to counter the issue of black money that has been rotating in the market. It has been mentioned that the only way to fight against the extensive money laundering that is taking place in the country is by enhancing the control of the state. So the solution is to link the identity cards of those indulging in these activities with the gambling transactions that are taking place. In this manner, it would become easier for the government to maintain control over the operations which are taking place through gambling. Moreover, even the government can make changes in the manner in which the gambling has been taking place in the country, that is, regulate it to suit the economic sector of the country. 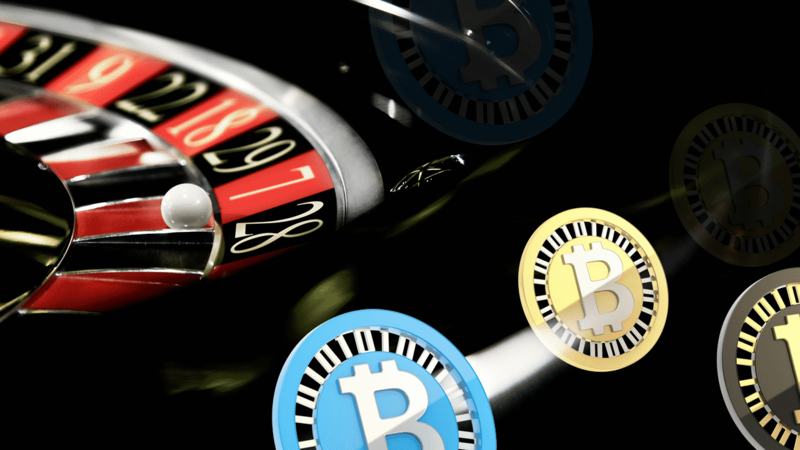 Therefore, the fate of cryptocurrencies might be linked to what lies ahead for the gambling industry. Winklevoss plea for ETF gets rejected; slump in value of Bitcoin.